Office :: Mail Supplies :: Addressing Labels :: HERMA Address labels for typewriters A4 70x32 mm paper matt square corners 540 pcs. 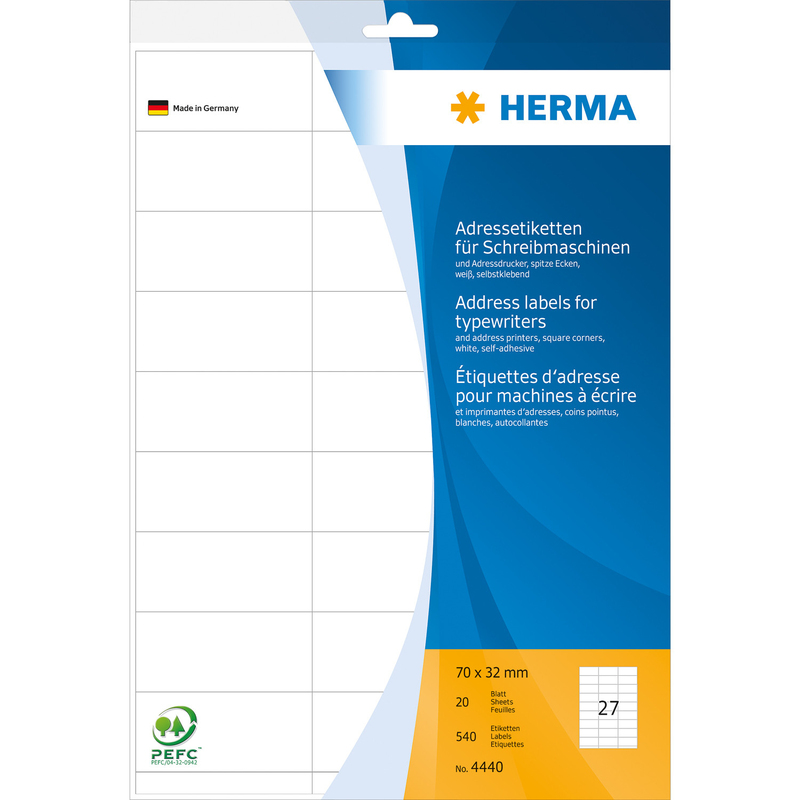 Home/Office/Mail Supplies/Addressing Labels/HERMA Address labels for typewriters A4 70x32 mm paper matt square corners 540 pcs. 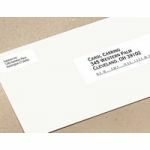 - Address labels on A4 sheets, with square corners. Made of high-quality, wood-free white writing paper. Opaque quality. To address, for labelling of files, shelves, containers, to stick over or as textsticker for patterns, photos etc. For typewriters or labelling by hand, not suitable for PC printing.